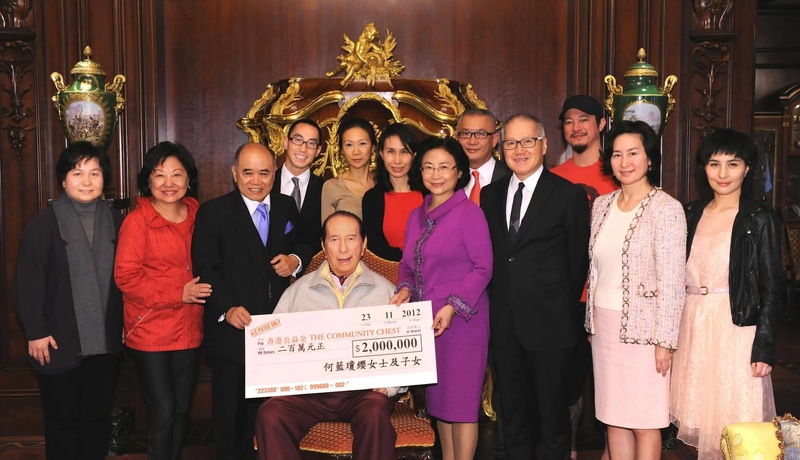 Billionaire Stanley Ho surrendered his seat to the casino empire SJM Holdings for his daughter after decades of building a career in the Macau casino industry with an estimated $ 3 billion in assets. The information was released by SJM Group at the end of April 12, according to AFP. Mr. Stanley Ho, known as Ha Hong Dang, will officially withdraw from the chairmanship on June 12th and daughter Daisy Ho will succeed. Named the "godfather," the king of the Macau casino industry, Ho was a pioneer in making the former Portuguese colony on the southern coast of China a paradise. Asian gambling, with sales surpassing Las Vegas. Forbes ranked him the 13th richest Hong Kong player in 2011, with a fortune estimated at $ 3.1 billion. After retirement, he would be given the "honorary president" of SJM. Daisy Ho will be president and chief executive officer, while his fourth wife, Angela Leong, and Timothy Fok, the son of a former business partner, will be appointed co-chairman and chief executive officer. operating. Revenue from Macau casinos is strongly influenced by the anti-corruption campaign "killing tigers" for Chinese President Xi Jinping. Still, SJM is still trying to attract visitors to Macau with the opening of the new Grand Lisboa complex, scheduled for 2019. Ho is the grandson of one of the first tycoons in Asia, Robert Hotung, one of the richest people in Hong Kong in the early 20th century. He made a fortune from the luxury trade of Macau to China during World War II, before obtaining his only gambling license in Macau, then in the Portuguese colony, in 1962. The billionaire kept a monopoly on the Macau gambling industry until 2002, when the government began attracting foreign investors, creating strong growth in which casinos accounted for 80% of revenue. for Macau, which is now China's Special Administrative Region. Ho married his first wife in 1942, but later moved with three other women he called his wife, whether he married them or not. He has at least 17 children.